Multi-Generational Living? Definitely endless possibilities here! Main home 3 bed 2 bath with large living room and attached but separate and complete separate entrance to 2bd 1 ba with kitchenette and living room. 2 A/C units and evaporative cooler, water system included. 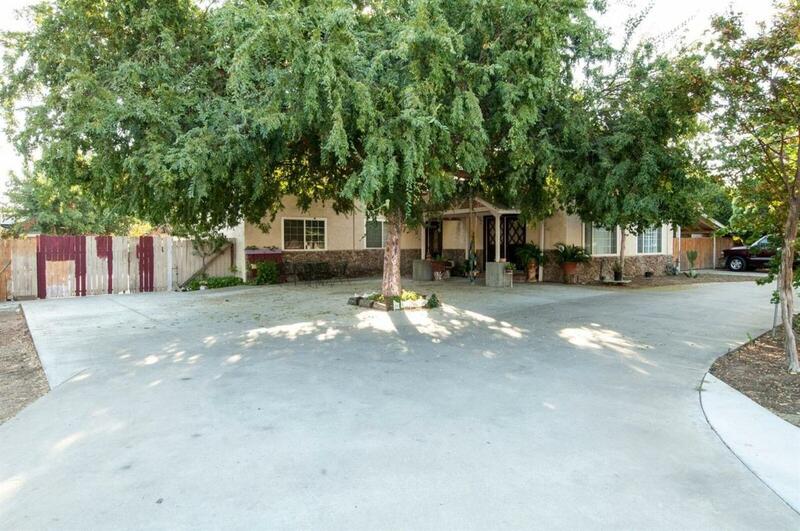 Wrap around patio, extra large lot, 17,859 sq ft with RV access. Circular driveway, covered car port. Shed in back as well. Home needs a little TLC, but priced to sell! Close to freeway access and schools nearby. Listing provided courtesy of Lety Castaneda of Fresyes Realty.